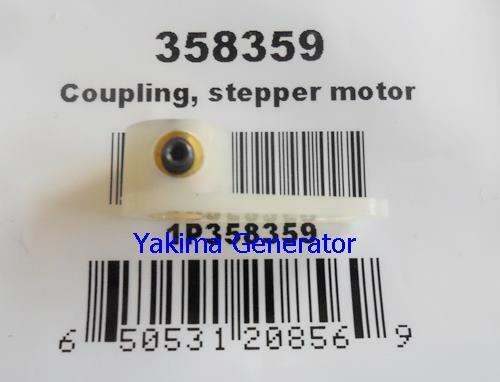 The Kohler stepper motor coupling 358359 should be replaced every 500 hr. 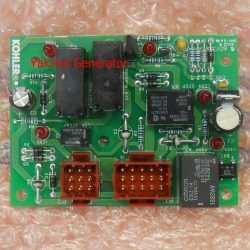 Fits Kohler 8, 12, 14 and 20 Kw stanby generators. 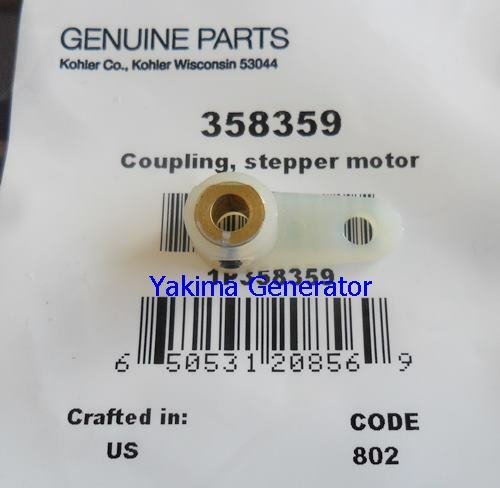 This coupling is usually replaced along with kohler 25 158 11-s throttle bushing and 25 158 08-s Kohler linkage bushing. 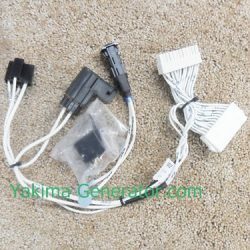 These parts wear and cause hunting and inproper Hz and voltage out put.